Trouble eating Pasta? 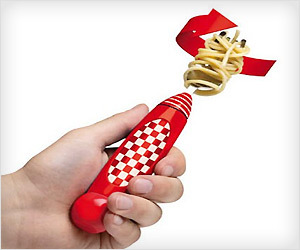 Hog Wild Twirling Spaghetti Fork helps you eat Pasta noodles with less mess and more satisfying bites along with twirling fun. This motorized fork automatically winds up the pasta on the end of the fork.